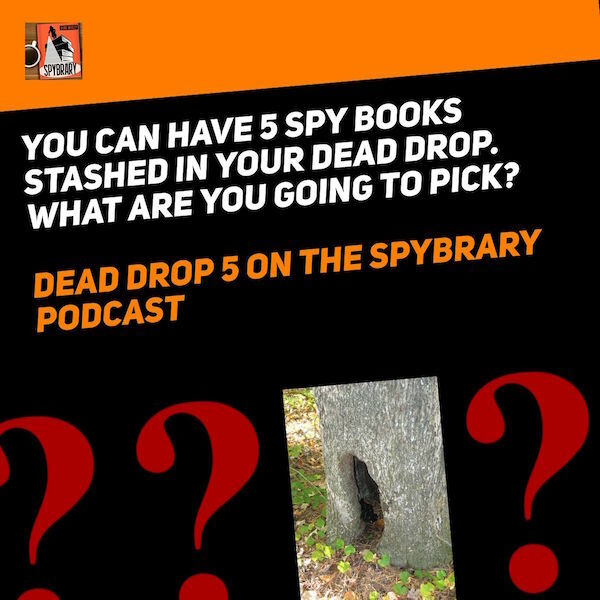 Are you ready for our second installment of DEAD DROP 5? Today’s guest is no stranger to East Germany. He is deep under cover, embedded in Communist East Berlin, he has asked his SIS handler to leave him 5 of his favorite spy books in their dead drop location in the Friedrichshain park. 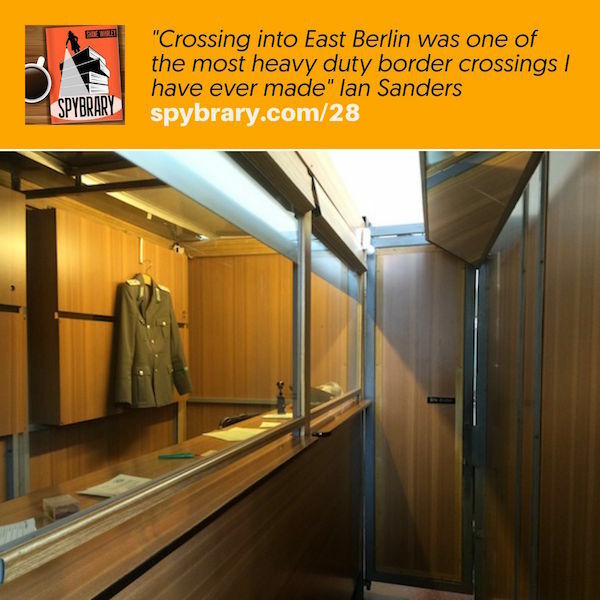 Ian Sanders of the Manchester Military History Society has been reading spy books for many years and has written almost 400 reviews on military,cold war and espionage books on goodreads. 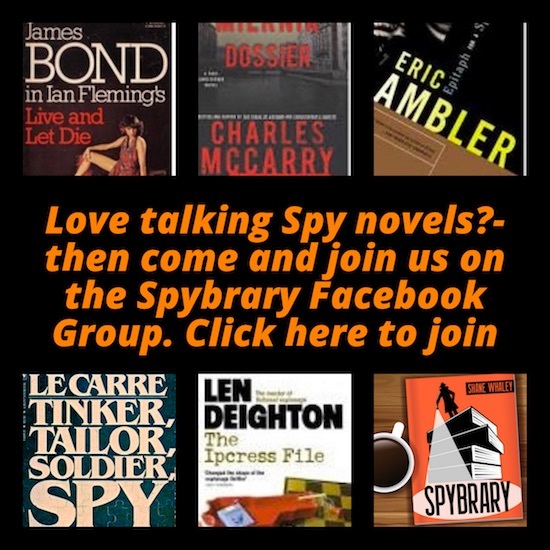 Today he is going to whittle those 400 books down to just a handful ….this is DEAD DROP FIVE on the Spybrary Spy Podcast. 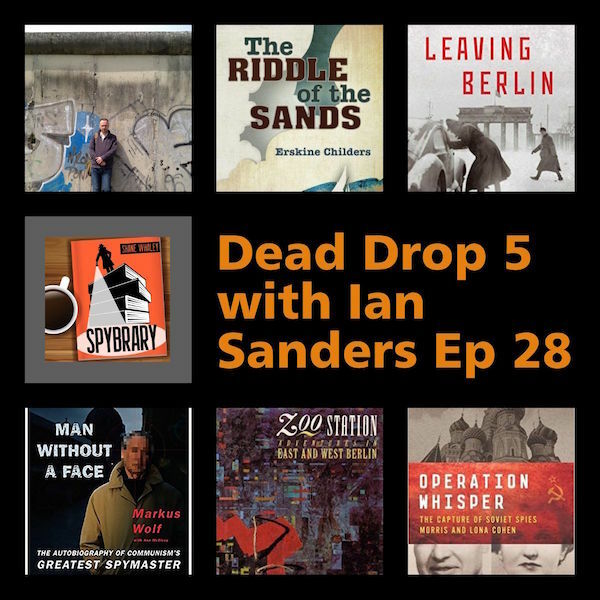 Listen to episode 28 of the Spybrary Spy Podcast and hear why Ian chose these 5 books to be stashed in his dead drop. Spybrary Host Shane Whaley could not resist asking Ian about his experiences visiting Berlin in the 80s. 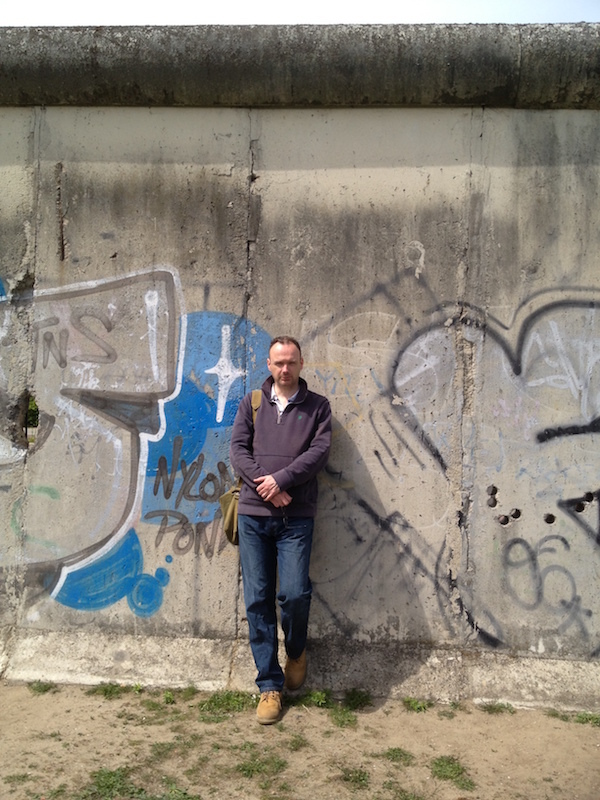 Ian tells us what it was like to cross into the German Democratic Republic (he made that trip 5 times) and he shares his impressions of traveling through the infamous Berlin ‘Ghost’ Stations. Kim Philby giving a lecture to the Stasi in East Berlin. Can you spot Markus Wolf? The Same Sky – Netflix Drama – The fates of two families become intertwined when an East German “Romeo” agent on assignment seduces a woman on the other side of the Berlin Wall. This is out of print, there are some very expensive copies on Amazon, I found a cheap copy on Ebay. Trailer for Atomic Blonde, set in Berlin 1989. Amazing escape from East Berlin by microlight! Spybrary is such a good idea and Shane does an amazing job hosting and animating it. Thanks to this particular broadcast, I’ve ordered ‘The Secret Agent’s Bedside Reader’ and previous casts lead to me purchasing the complete ‘Sandbaggers’ DVD (something I’d watched back in the day but enjoyed much more this time around) – old dogs can learn new tricks ! Ian’s selections were also very interesting. I’ve read ‘Riddle Of The Sands’ and would concur that Joseph Kanon is excellent. The rest I’ll look into. It is just so great listening to like minded individuals give their insights. A much needed service after the demise of the serious book critic. C J Sampson’s other later Tutor/early Elizabethan England have elements of “spy” action.